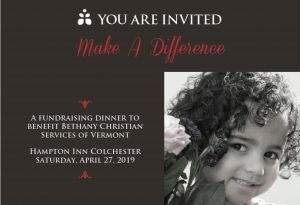 We are a diverse network of Christians in Vermont working together to serve the common good through public worship and prayer; acts of mercy and care; and loving prophetic witness for peace, justice, and the integrity of creation. Witnessing the Gospel message of loving God and our neighbor through our action, prayer, and worship. Facilitating communication among the wider Christian community in Vermont. Fostering cooperation among Christians in Vermont. Building an active, diverse membership within this network. Encouraging the formation of various ministry partnerships. Collaborating with the larger faith community and secular society. Organizational Structure – The Network will adhere to an organic development process of building and strengthening relationships. (4) Individual Christians not affiliated with a member in other categories. Leadership – Coordinating Team: One representative of each member Christian denomination; one representative of each individual member Christian church without denominational affiliation; one representative of each independent Christian member organization; up to five individual Christians members not affiliated with other categories. Establish criteria for forming a partnership. Establish guidelines for network statements and other communications. Hire and supervise staff, and manage the budget. Convene an annual Network gathering.